Borgo La Casa is located on 35 hectares of land on a hill side of the Casentino valley in Tuscany. It is overlooking the valley with the castle of Poppi as a well known historic monument. The valley is surrounded by the impressive forests of Pratomagno and the National Park Casentino. The heart of the borgo is the restored farmhouse ‘La Casa’ with two associated guest houses. The local communities have granted permission to carve-out 4 building plots around La Casa for the construction of a Tuscane style villa with a swimming pool. Building plots 1 and 3 have been sold. 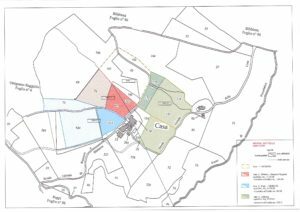 Building plots 2 and 4 are currently still available for sale. Building plot 2 is 10250 square meters (m2) in size and has an assigned maximum building volume of 1000 cubic meters (m3). The plot offers a splendid view over the Casentino valley. Building plot 4 is 18000 square meters (m2) in size and has an assigned maximum building volume of 1500 cubic meters (m3). The size and building volume offer the possibility to build both a holiday home and guest house. See also the video of Borgo La Casa on YouTube. For the design of the house and the supervision of the construction work, the well known architect Roberto Mariottini, with his office in Bibbiena, is available. 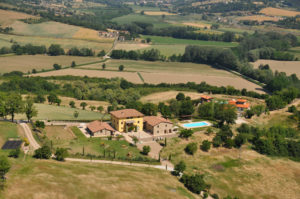 Roberto Mariottini has extensive experience in designing and building traditional Tuscan villas and country houses. He was also involved in the restoration of ‘La Casa’ and the design and supervision of the construction work of the villas on building plots 1 and 3. The realization of a house under the Tuscan sun is a unique experience. We experienced this when we bought ‘La Casa’ and we look forward to share our experience with the buyers of the building plots. Building plot 2 is available. 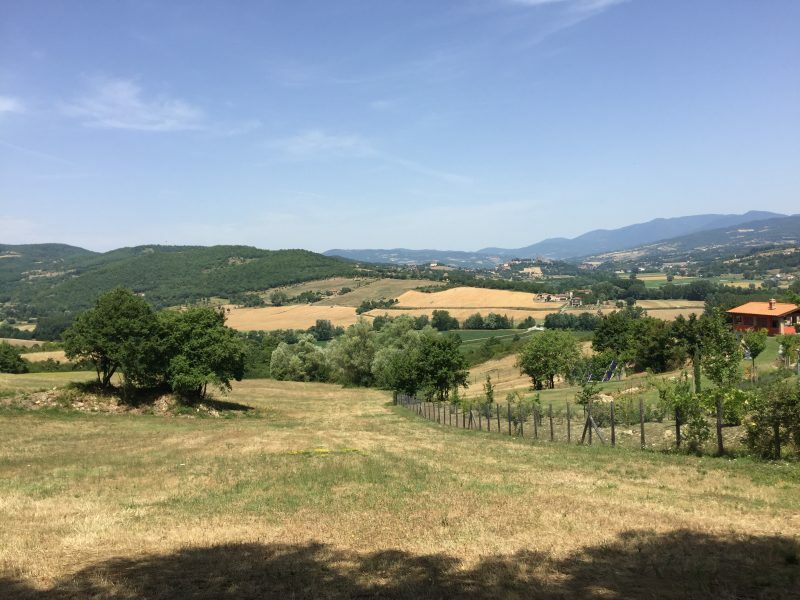 Similar to building plots 1 and 3 a villa on this plot will be overlooking the Casentino valley with the Poppi castle as a characteristic monument. The building plot measures 10.250 m2 in size and offers the possibility to build a house with a (maximum) size of 1,000 m3 (400 m2). Building plot 4 is available. 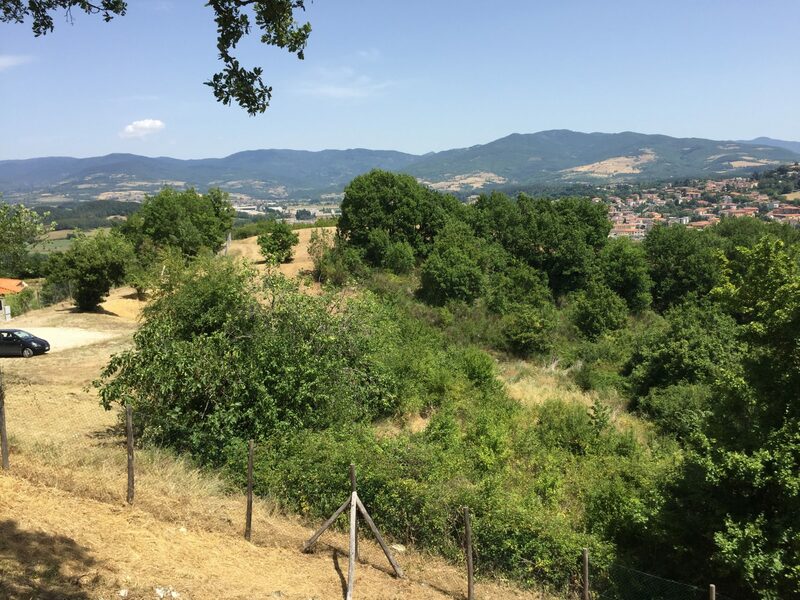 This spacious building plot (approximately 18,000 m2) is located on the south-east side of the borgo and offers a beautiful view of the Arno rivier and the forests of Pratomagno. This plot can be used to build a spacious villa or country house and a guest house with a maximum size of 1,500 m3 (600 m2).